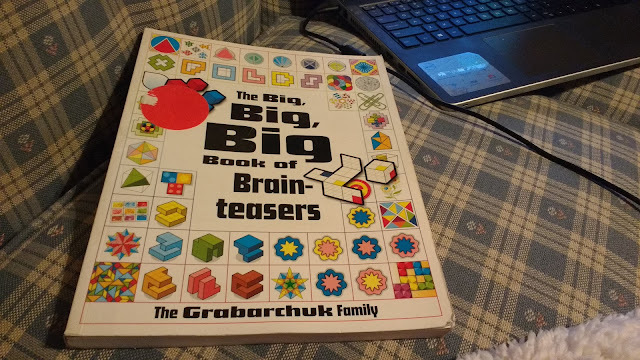 This bookcase based logic puzzle is from The Big, Big, Big Book of Brainteasers (affiliate link). You can still access quite a few of the puzzles for free, though. Amazon's Look Inside Feature lets you look at quite a few of the puzzles for free. Just keep clicking "Surprise Me!" on the left pane to see a different page of puzzles. I printed a bookcase template on 11 x 17 cardstock (affiliate link). The top is printed with six clues that instruct how the nine items printed on colored paper should be placed. 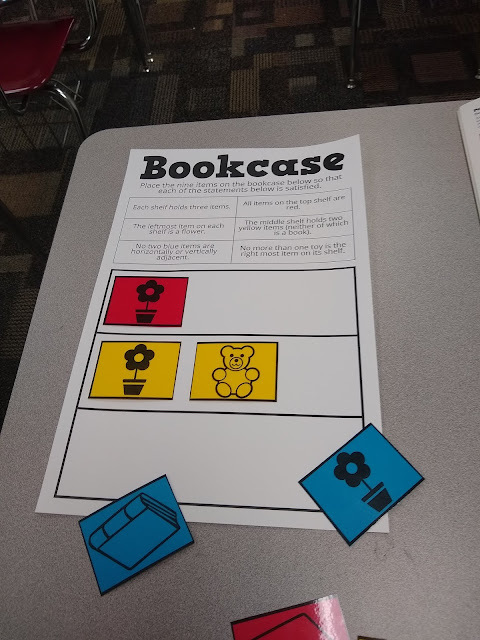 The clues reference three types of items: flowers, toys, and books. And, it mentions that there are red, blue, and yellow copies of each item. I created a page of pieces to represent each item, and I printed it three separate times on three different colors of paper (red, blue, and yellow). This makes three separate sets of pieces for solving this puzzle. I would rather end up with extra pieces than waste paper. If you don't have access to red, yellow, and blue paper, you could easily edit the file to match the colors that you do have access to. I combined the fact that all items on the top shelf are red with the fact that the leftmost item on each shelf is a flower to determine that a red flower should be the leftmost item on the top shelf. 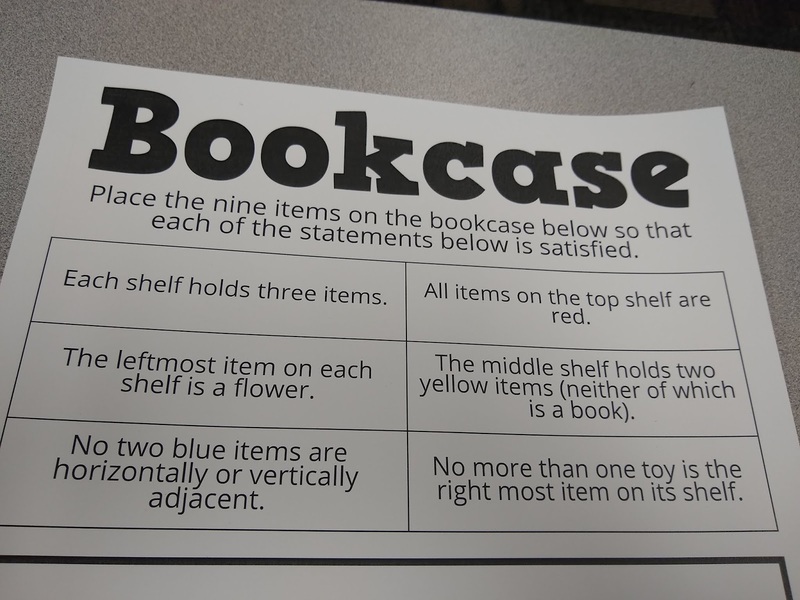 Then, I used the clue that the middle shelf holds two yellow items which are not books to place the yellow flower and yellow toy on the middle shelf. And, I'll leave the rest of the puzzle to you and your students to solve! You can download the files for this activity here. If you don't have the ability to print on 11 x 17 paper, I have also uploaded a letter-sized PDF version. It's Monday, and it was definitely feeling like a Monday this morning. Discouraged by my overwhelming to do list and never enough time to accomplish enough where I feel like I made a dent, I did the natural thing. I turned to twitter. Twitter is full of amazing ideas that only add to this to do list, but more importantly it is a place of encouragement that reminds me why I've dedicated myself to this crazy job of teaching math to high schoolers. The inspiration must have worked because I did end up knocking quite a few things off my to do list by the end of the day. I thought I should share this inspiration with you in case you too are having a case of the Mondays. 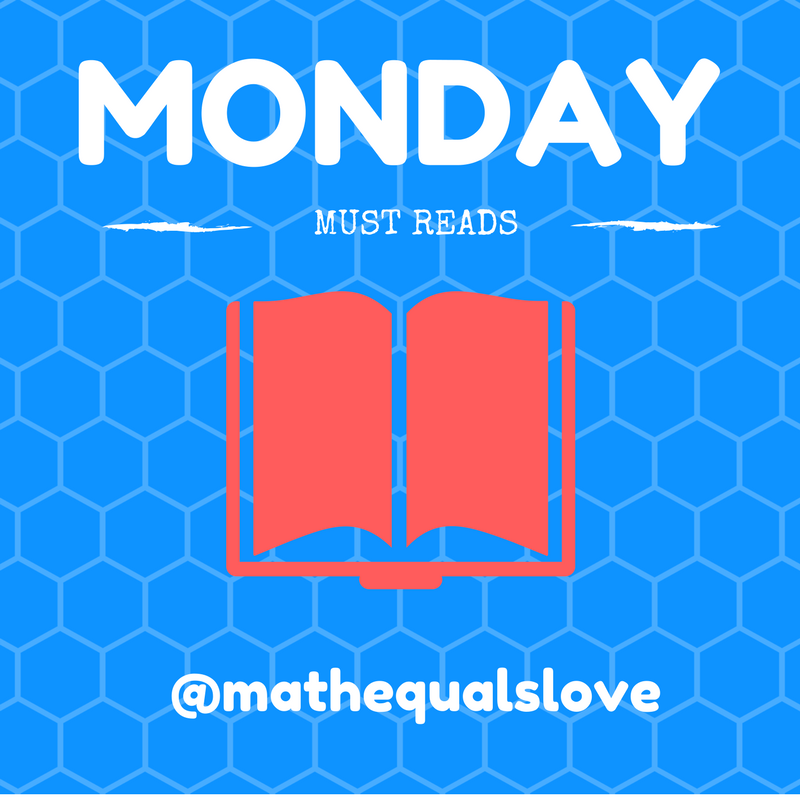 Here's my weekly-ish twitter round-up of math teacher awesomeness. I hope you find some inspiration in these posts. Julie Skokan inspires with some student artwork inspired by their unit on triangles. What a way to highlight student creativity! Cassidy Yasinski makes learning to use a protractor fun with this race around the world game. Karen Swift shows an awesome poster made by one of her students to help the class remember important symbols. Beautiful! Alice Aspinall shares an inspiring bulletin board. Mrs N Math uses a craft store coupon for a great exploration into percentages. Samantha Hong cleverly uses graphing Mickey Mouse to introduce equations of circles. Brewer shares a template for asking students to self-reflect using Desmos. What better way to celebrate the 100th day of school than creating 100 math expressions that are equivalent to 100?!? Shout-out to Maddie Garcia for the awesome idea! Stacy Landgrebe shares some awesome student dilation projects. Here's another awesome geometry project, this time featuring surface area and volume (and oreos!) from Miss English. I love this 100th Day of School sign from Ms Wadsworth! Elizabeth Mendenhall combines school spirit with calculus on Fridays. Chris Evans uses Desmos to explore estimating the area and perimeter of countries. How cool! Ready to be even more blown away? Mimi Williams shares an awesome display for highlighting student growth. Alicia Bena puts a positive spin on giving your coworker a "heart attack." This is an awesome idea for Valentine's Day! 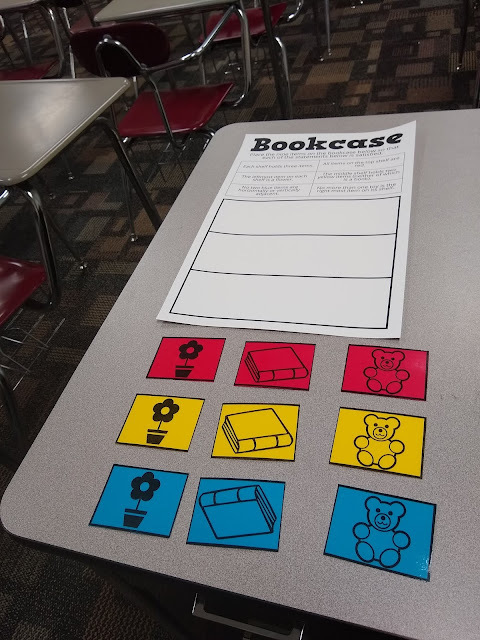 Lisa Broadbent shares a practice structure idea called "Pass the Board." Mrs Voisinet uses art to teach properties of reflections. Mr Zrenner combines sports logos with graphing inverses. Mallory Jennings combines triangle practice with stained glass creation. What a beautiful result! This bulletin board of Geometry Valentines from Mrs. Bradley is gorgeous! I know Christmas seems a long way off, but I love these triangular Christmas trees from Mark Ekstrom too much not to share in February. M Hanks Teach LHS introduces conics with ice cream cones. Yummy! Rachael Gorsuch shows that math lesson inspiration can be found anywhere! Laura Boyer shares a fun but messy looking project involving volume. Garis Math shares a winning mathematical valentine. Too many snow days? Ms. Edwards shows that learning doesn't have to stop. Sarah Shartzer shares a lovely flow-chart for directing student actions on a work day/review day. Mark Kaercher combines origami hearts with fractions. 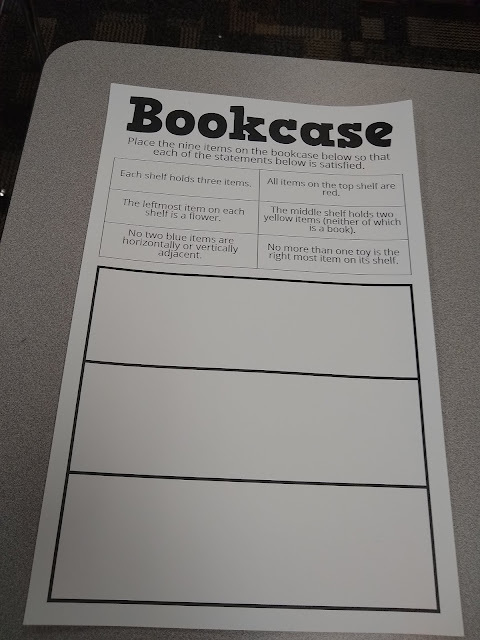 K Roth shares a great, self-checking wrap-up activity for probability. John Rowe shares a awesome parabola-based puzzle. 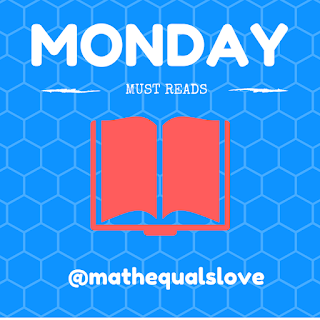 Dawn shares a lovely Valentine's project involving Desmos and mathematical poem writing. Kay Kubena shares a great stats lesson involving rubber bands. Ms Peterson shares a data collection activity for the 100th day of school. 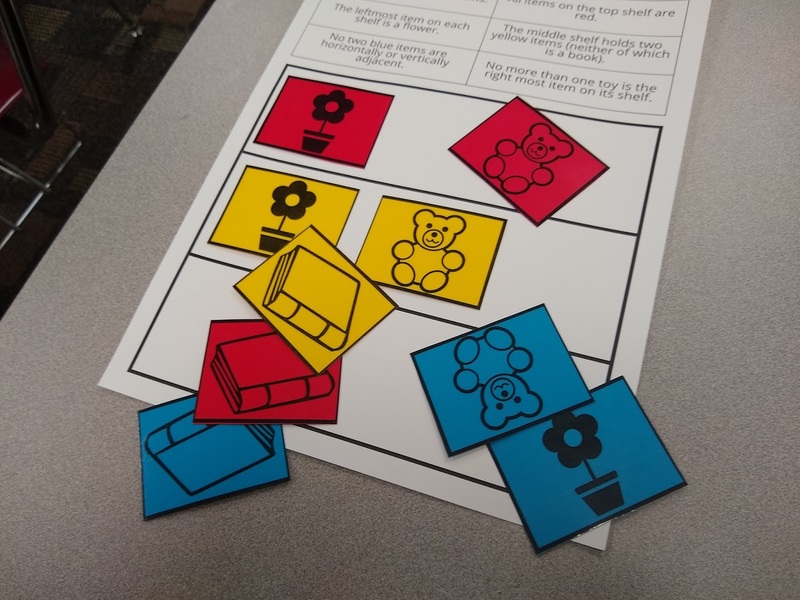 Tiffany McGuire shares a way to turn a popular party game into an engaging math lesson. Abbey Turchyn takes trig out into the hallway. Cassandra Valenti shares a cool looking way to practice applying the laws of logarithms. Ms J Brown shares a fun-looking algebra activity involving hula hoops. 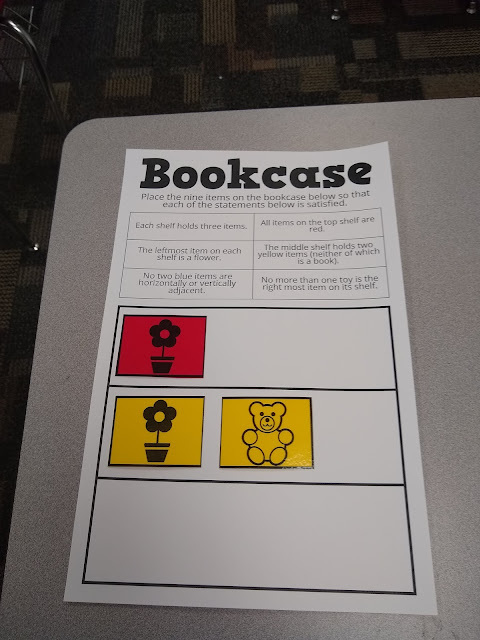 Check out this awesome teacher hack from Suzette Rodriguez for organizing Plickers! Nickeva shares a great, hands-on exploration of slope. I also this hands-on exploration of slope and similar triangles. Anne Erehart illustrates a connection between dabbing and geometry. EDMScott shares a clever idea for using smarties to mark different types of angles. Holly Parker shares a structure for introducing vocabulary using examples and non-examples. Nicholas Springer shares an idea for incorporating Snap Chat into the classroom. Also, check out this angle challenge from Nicholas Springer. Brian shares some inspiring sidewalk math. Maybe you could try something like this at your school or in your community! Until next time, keep sharing the great ideas!